Wednesday, 28 November. Second day of the PASCAL side programme – a lot of input for the participants! The aim is to get them to know Germany (and especially Forschungszentrum Jülich!) as a place for excellent science. 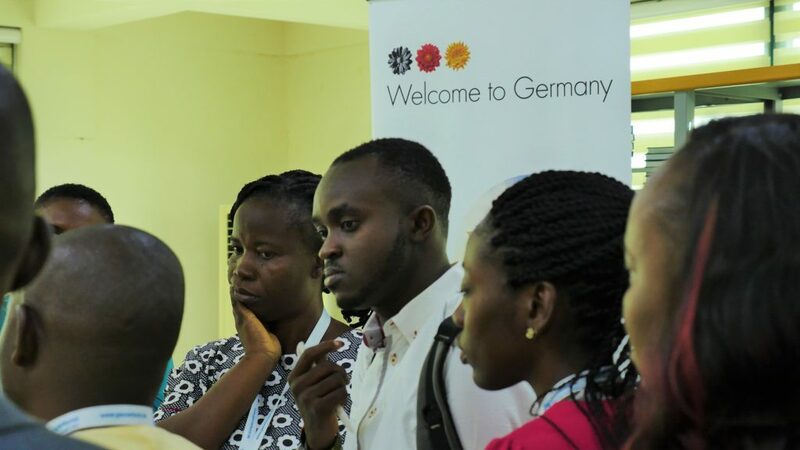 Therefore the programme provides information on Germany and Jülich as a science location, it wants to foster the exchange between African and German scientists and to support scientists who are interested in a work stay in Germany/Jülich. Welcome to the “Career Fair”! Bianka Fernengel and Dr. Solomon Agbo from Forschungszentrum arrived on Monday for a couple of events. The first was a panel discussion yesterday afternoon. Title: “From Africa to Germany”. Solomon Agbo together with Dr. Kwabena Frimpong-Manso Opuni and Dr. Genevieve Nrenzah talked about their experiences as African scientists during their stays in Germany. Today Bianka Fernengel and Solomon Agbo introduce Forschungszentrum Jülich as one of Europe’s largest research facilities – and as an employer. Apart from general information, both of them also provide practical help. Bianka Fernengel offers the opportunity of a CV check and supports participants with information on how to apply and what to expect during the selection process. Solomon Agbo presents career paths beyond academics. Lena Leumer and Felix Barnes (German Academic Exchange Service, DAAD) on Tuesday gave a presentation of the German research landscape. 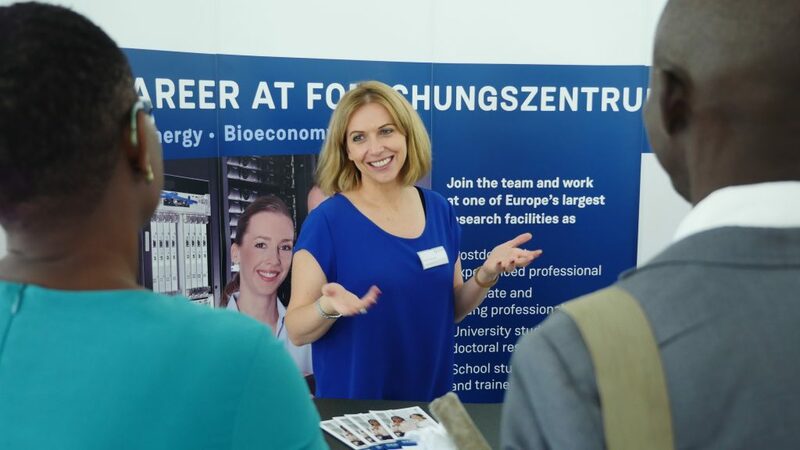 And to round up the side programme, Christine Müller from University of Bonn tomorrow will show pathways to a PhD in Germany for young and ambitious researchers (like the PASCAL participants…).